It’s mid-winter. For many, it can be a difficult time. It’s easy to feel listless, sleepy and just plain uninspired. And that’s not always a bad thing. When we allow ourselves the time to recuperate, regenerate and regroup, we can approach life much more fully. With that said, there’s a balance to be struck. Even in the darkest winter, you can find ways to renew that internal shine inside. 2. Help others. 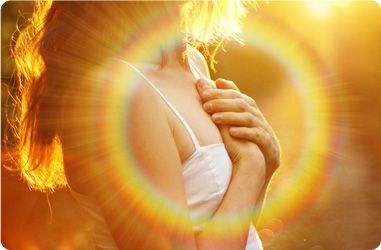 When we give of ourselves, we naturally shine with love..and its a beautiful thing. Who in your life could stand a little help today? A phonecall, a handwritten note, a well thought-out email–all simple gestures that help others shine as well as yourself. 3. Meditate. Isn’t it crazy that we live our lives without rarely experiencing true presence? Remember, remember remember: your life is now. Worrying about the future or dwelling on the past does nothing but fracture your spirit and sense of self. So take 5 and breathe. Clear your mind. Remember what its like to simply live in the moment. After those 5 minutes, take a look in the mirror. You’ll see the shine. Nothing groundbreaking here. It’s all been said before. But there’s a reason…because these “personal shine” methods work! How tightly should your ring fit?